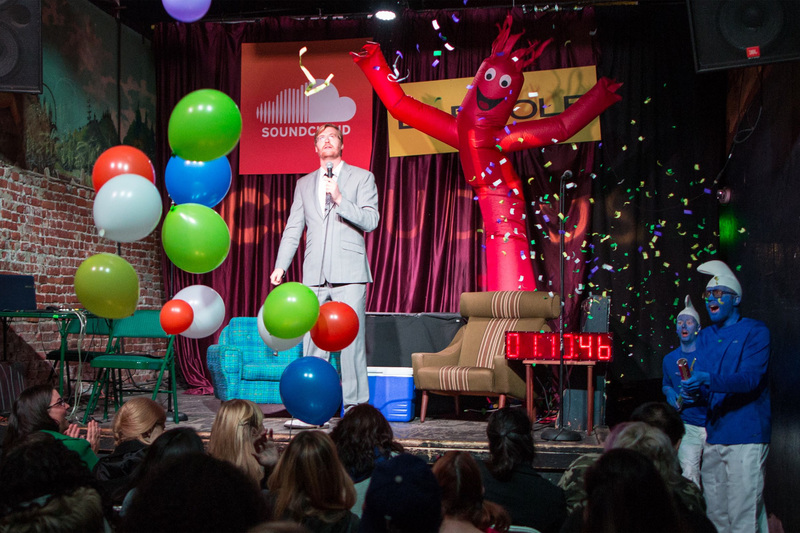 Want to see stand-up sets, improv shows, podcast recordings and more from some of our favorite local comedians like T.J. Miller, Ron Funches and Lauren Lapkus? 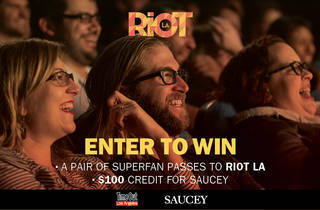 Then enter to win two Superfan passes to RIOT LA, as well as a $100 credit for the alcohol delivery app Saucey. The pass will get you into more than 40 comedy shows on Saturday and Sunday, including Time Out Los Angeles Presents: I Love NY with Eddie Pepitone. Make sure to check our recommendations for the fest, including the best shows to see as well as places to eat and drink in Downtown LA—that is, if you haven't already gotten bottles of beer and wine delivered to your door from our friends at Saucey. CONTEST RULES: One entry per person. 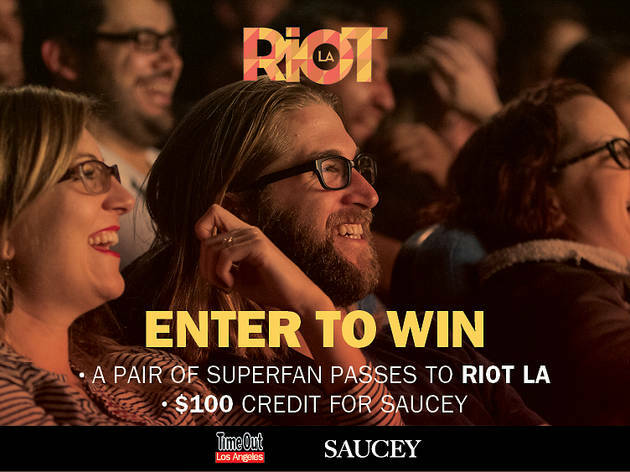 These competitions are open to any U.S. resident (unless otherwise stated) except employees of Time Out and Saucey App, their agents or anyone directly connected to these promotions. No purchase required for this promotion. Contest valid 1/11/16 through 1/25/16 at 12:00:00pm PST. Winners must be 21 years of age or older unless otherwise stated. Prizes are as described above; no cash alternatives will be given. Prizes may not be sold, traded, transferred or refunded. Any and all federal, state and local taxes are the responsibility of the winner. If for any reason winners are unable to use prizes within the time specified, the participating organizations are not responsible for providing replacement prizes. No make goods will be given in the event of a canceled or rescheduled event. Approximate retail value: $340. 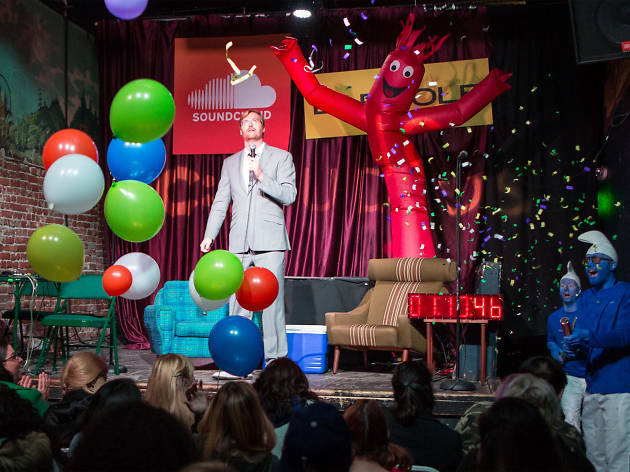 DISCLAIMER AND WAIVER: Time Out does not endorse or make any representation about the prize or quality of the services that are part of the prize. By participating in this contest, entrants agree to receive promotional emails from Time Out and Saucey App as well as waive any claims against Time Out and Saucey App arising out of use of the prize and related services. The odds of winning are relative to the number of correct, eligible entries received; winners will be drawn at random from this pool.